A familiar villain is coming back to The Flash, but with a twist. Kevin Fiege talks about Dan Harmon’s involvement in Doctor Strange. 12 Monkeys goes back to the future with some major new casting. Plus,new looks at Resident Evil: The Final Chapter and The Walking Dead, and new Power Rangers posters. Behold, Spoilers! 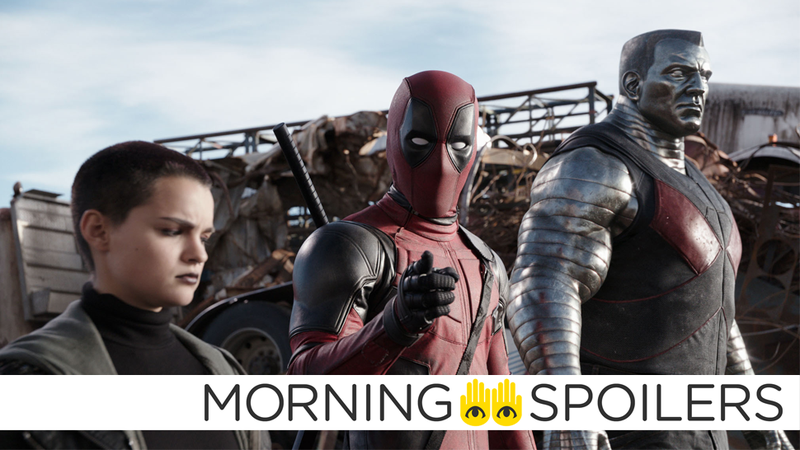 Collider has revealed a rather extensive shortlist for the role of X-Force member and probability-altering mutant Domino. According to the site, Mary Elizabeth Winstead, Lizzy Caplan, Sienna Miller, Sofia Boutella, Stephanie Sigman, Sylvia Hoeks, Mackenzie Davis, Ruby Rose, Eve Hewson, and Kelly Rohrbach are all currently on the not-so-short shortlist being considered for the role. We are all big fans of his work, clearly...We’re also fans of his cartoon Rick & Morty, which is about, of course, humor, but I would argue that any given episode of that show has an unbelievably amazing sci-fi concept that could be its own movie. So, really, we just wanted him to watch the movie, and talk to us about it, and give us his opinions on the sci-fi concepts. That was as important to us as any humor that he could add to the movie. Alice’s fight against the T-Virus hordes (and Jorah Mormont) continues in a new international trailer for the film. Here’s an animated gif, gussied up as a “motion poster,” featuring new images of the Rangers suited up. New images from the set have revealed that Mark Hamill is returning to the show, reprising his role as the Trickster—although persumably the character has had a bit of a Flashpoint twist, considering now he looks a bit more like Danny DeVito’s Penguin than he does his usual Trickster-y self. Doc Brown himself, Christopher Lloyd, has been cast as Zalman Shaw, the father of the villainous Pallid Man. ...described as a charming but deadly cult leader who preys upon others’ tragedies and losses in order to recruit new members into The Army of the 12 Monkeys. Wil Traval has confirmed he’ll return to the show next season as the Sheriff of Nottinham. Finally, here’s a new featurette in which Jeffrey Dean Morgan talks about characters who aren’t Negan.